HTC recently announced three new fashion-centric mid-range smartphones in its Desire series called as HTC Desire 530, Desire 630 and Desire 825 at the MWC 2016 event in Barcelona. The brand has been in talks for a while now about the launch of its flagship HTC One M10 that is expected to arrive in April. Recently, few images of the device were leaked online showing an entirely different design when compared to its predecessor. 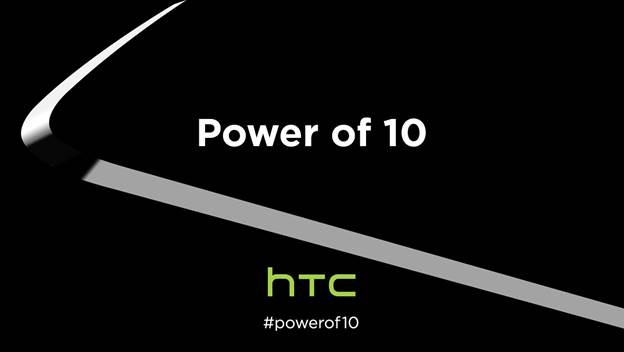 Now, the company has started officially teasing the upcoming flagship smartphone with the tagline Power of 10 confirming the existence of the device. The company has also teased an image that shows the metal edges of the smartphone. The new render is similar to earlier leaked pictures and the HTC One M10 will be the ‘cleanest most symmetrical phone HTC ever made.’ Apart from the teaser image, no other details about the device are revealed by the brand. As per the rumors, the HTC One M10 will flaunt a 5.2-inch 2K display and will come powered by all-new Snapdragon 820 quad-core processor. It will have 4GB of RAM, 32GB of storage and will run on Android 6.0 Marshmallow based HTC Sense 8 UI laid on top. Like the Samsung Galaxy S7 and Huawei Nexus 6P, the HTC One M10 is expected to sports 12.3MP rear camera with PDAF, OIS, dual-tone LED flash and a 5MP ultra pixel front-facing shooter. It will include connectivity options like 4G-LTE, Bluetooth, NFC, Wi-Fi and GPS. The details about the specifications shared above are entirely based on leaks and are advised to take with a pinch of salt. As HTC is teasing about the upcoming flagship smartphone, we can expect an official announcement soon. Stay tuned for more updates like this in coming days!